Located on the Congress Street Bridge in Boston, Massachusetts, this floating Boston Museum is unlike anything you’ve ever experienced before. Live actors, high-tech, interactive exhibits, authentically restored tea ships and the stirring, multi-sensory documentary “Let it Begin Here,” are just a taste of what guests see, hear and feel. 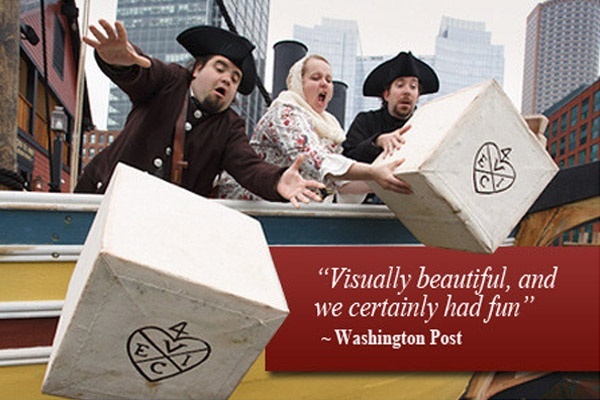 When Historic Tours of America approached MediaMerge they had one purpose in mind: How can we use technology to tell the story of the Boston Tea Party in a way that's engaging, memorable and effective? 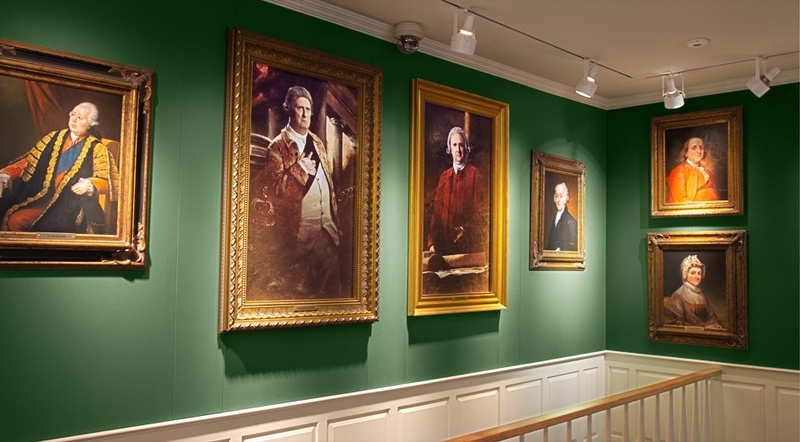 During the experience guests meet the colonists, explore the ships and dump tea overboard just as the Sons of Liberty did on that fateful night of December 16, 1773. It’s educational, entertaining and enlightening — an experience not to be missed by adults and children of all ages. 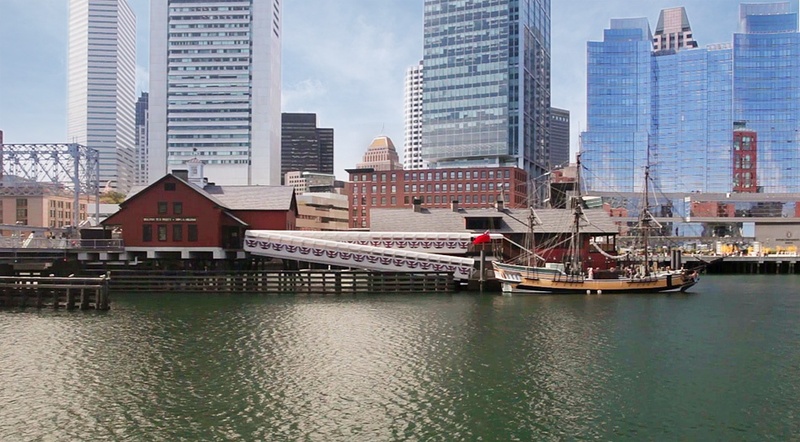 The tour lasts approximately one hour and takes guests through a variety of virtual exhibits, authentically restored tea ships as well as traditional Boston Museum Exhibits that are all interconnected. 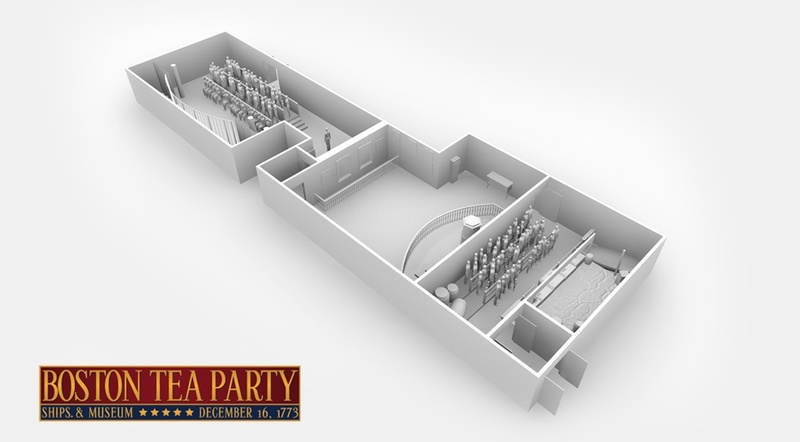 The tour is designed to give guests the opportunity to participate, explore and learn about the people, events and consequences that led up to the American Revolution in the order in which they actually occurred more than 230 years ago. "In every way, MediaMerge represented cutting edge capability with an unflagging sense of camaraderie and eagerness to make our vision a reality in what is certainly one of the most compelling new museums in the United States. 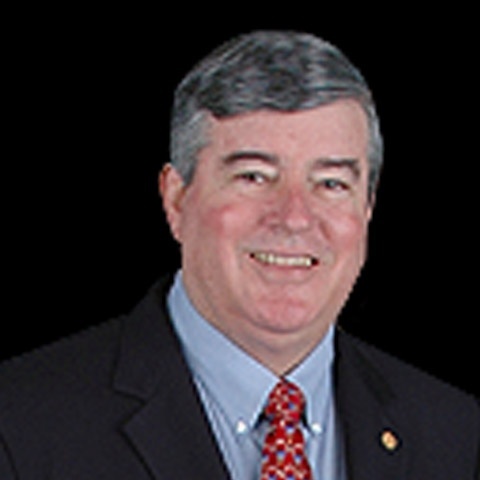 With our budget, I don’t think it would have been possible with any other company."